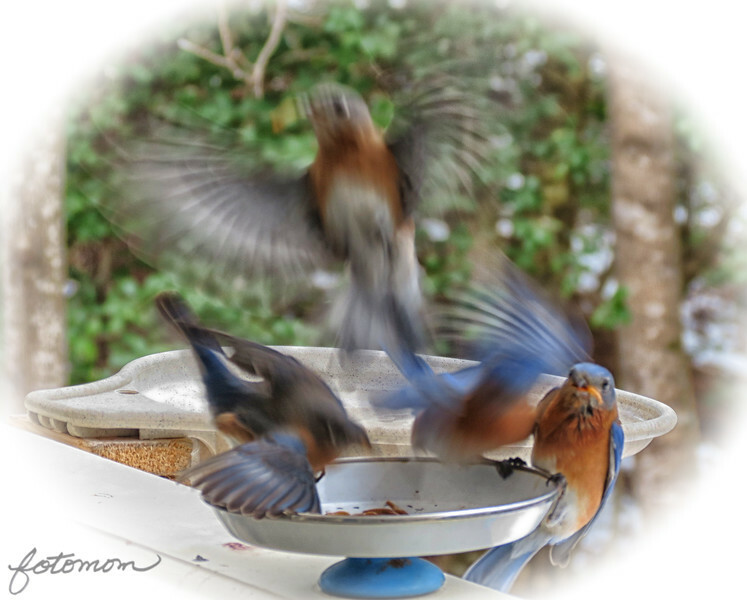 I can see the Bluebird feeder from my spot on the loveseat, and it's a real joy to watch them come and go. When I feed them live mealworms in the morning, I hold the front door open just enough to get my lens out and snap some shots. I think it's cool to catch them in flight and see the detail of their wings, their facial expressions, and the fast action.